Throughout the U.S., there is a wide variety of off-premise retailers in different classes of trade, all trying to do the same thing: sell more beer! 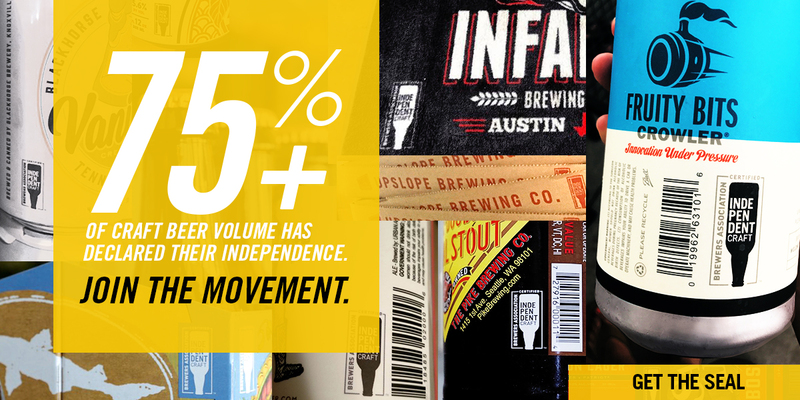 And in many cases, sell more craft brewed beer from small and independent U.S. producers. The craft drinker spends more than most other beverage alcohol shoppers, delivering greater long-term gross profit. In order to capitalize, retailers need to offer variety and an easy shopping experience. 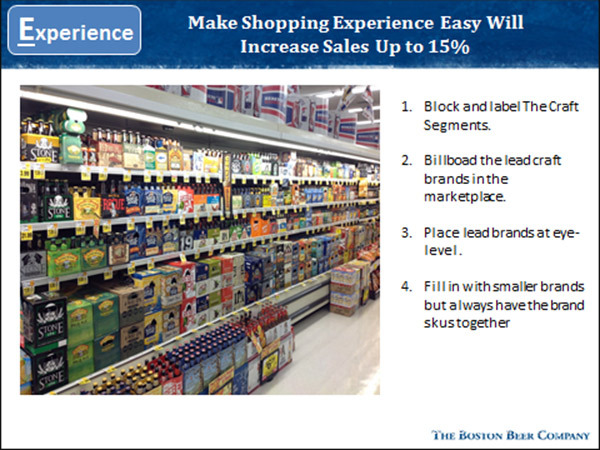 Below is a simple three-step process to help retailers approach spacing and merchandising their beer and craft sets. The process is called “SET” and it focuses on three sales drivers when merchandising. 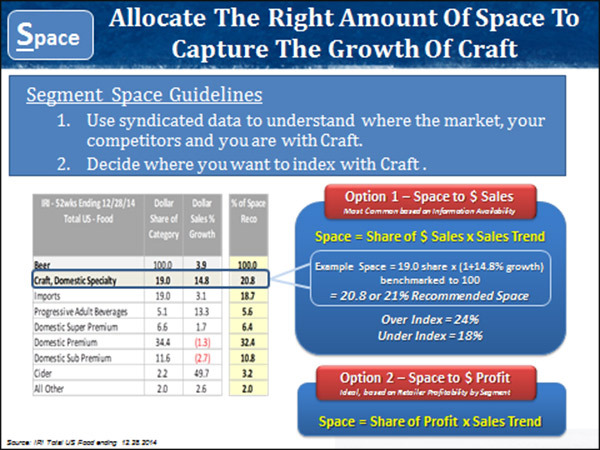 Space: Do you have enough space to capture the craft sales to achieve your goals? Experience: Is the shopping experience easy? Trade Up: Are you always encouraging shoppers to trade up? First, retailers need to determine how much space to designate for craft beer. It sounds simple, but the fact is many retailers don’t start by allocating space by segment. Traditionally retailers look at a snapshot of what has sold in their store and marketplace at some time in the past. The drawback is that this philosophy focuses the assortment on historical data. 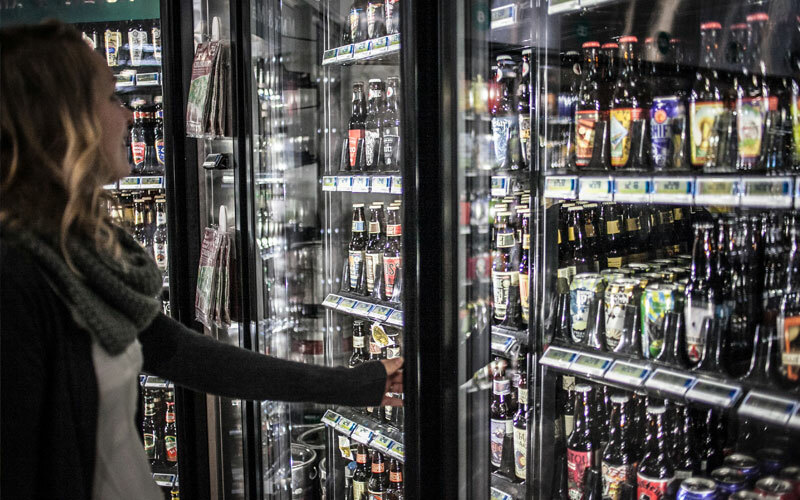 A more effective approach is when a retailer identifies their forward-looking goals for the beer category and decides what they need to do to achieve them. 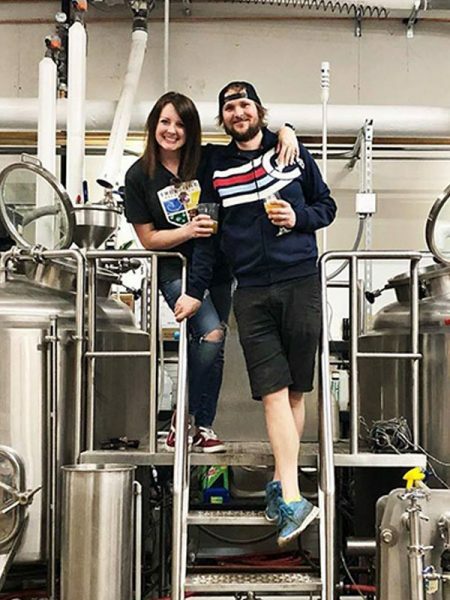 If they want to grow their craft business, they will need to dedicate more space and decide where to take that space from, e.g., declining beer segments like premium and sub-premium. The next decision is whether they want to overindex with craft or underindex when compared to craft development in their market and with their competition. Understanding their goals, the marketplace development for craft and their current sales is the starting point to deciding how a retailer should move forward with spacing craft. The craft shopping experience can be daunting particularly for the uninitiated. The biggest growth opportunity for craft breweries is still from new craft and casual craft consumers. This drinker still drinks a lot of premium beer but is willing to drink craft and accounts for over 60 percent of current beer drinkers. In order to encourage this drinker to buy more craft retailers need to make shopping easy. Blocking and labeling the craft segment helps shoppers identify craft. Seeing brands they know and trust also helps them identify where the craft shelf is, and gets them to stop and shop. Eye-level position is key to helping shoppers find lead brands. Billboarding (all SKUs together in a 3×3 SKU or 4×3 SKU block) the lead brands and brands with multiple SKUs also helps make the shopping experience easier. This billboarding isn’t a common practice, and many stores don’t position brand SKUs together or anchor their sets with the lead brands. Larger craft brands can serve as a signpost for the craft segment. Finally, make sure to always encourage your shopper to trade up to craft. The number one way to do this is by putting the craft segment early in the traffic flow of the store. This placement strategy is a tried and true philosophy in retail. 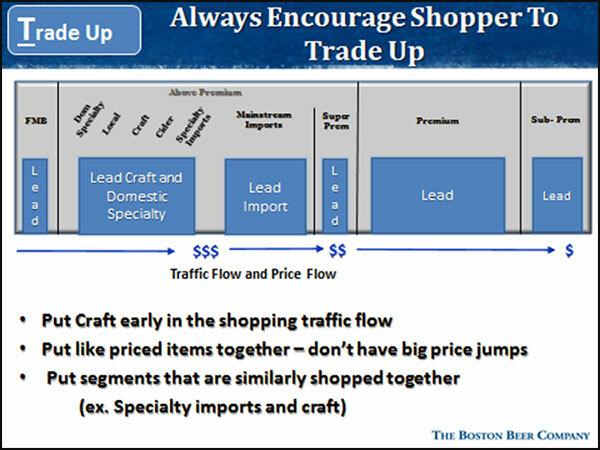 Once you have placed craft early in traffic flow, try to minimize big price jumps with adjacent brands and put products with similar customers together. High-end specialty imports and cider make great neighbors to craft. Follow the three principles in the SET process and you will be sure to capture more craft sales and thus higher margins. Having the right space for craft, making the shopping experience easy and always trading up will keep your assortment and merchandising well-tuned to capture all the growth you can from your sets. This article was written by the market development committee as part of the BA Insider—a free email publication sent quarterly by the Brewers Association. Each issue covers topics relevant to craft beer distributors.